In Episode 40, Kathryn interviews Brynn Johnson on the topic of body image. 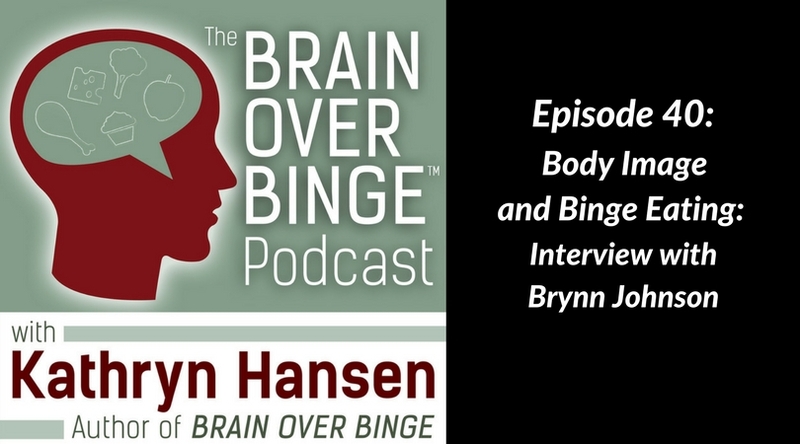 Brynn discusses how body image issues impact binge eaters and recovered binge eaters, and she gives advice on how to manage negative body thoughts. Brynn also talks about letting go of your attachment to dieting and trying to change your body. Go to Brynnjohnson.co/podcast for a freebie from Brynn! *Learn about getting more support in recovery by clicking the link below (discount available through May 1st, 2018).